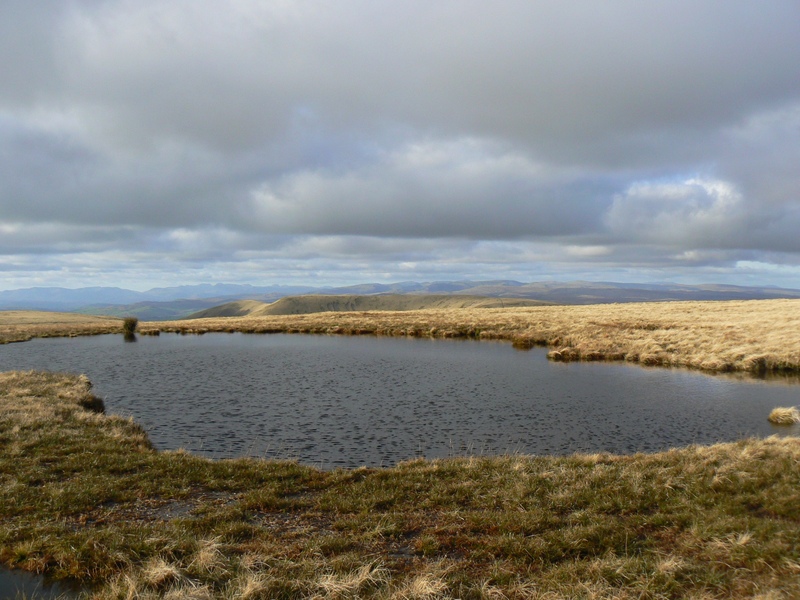 Grains Tarn is one of a very small handful of tiny tarns that can be found in the Howgill Fells in the north-western Yorkshire Dales. Grains Tarn is, along with Calf Tarn, one of two small tarns on The Calf. As with all the tarns in the Howgill Fells this one is technically nameless. It is situated at the top of Grains, one of a number of The Calf’s grassy ridges, alongside where the path to Bowderdale bifurcates with the path heading for the Hazelgill Knott ridge. I’ve only visited the tarn once, way back in 2008, but I was fortunate enough to do so in fine weather when the view across the small tarn towards the distant line of Lakeland fells was simply superb.